In lieu of flowers, memorial contributions may be made to St. Jude Children’s Hospital and left at the funeral home. 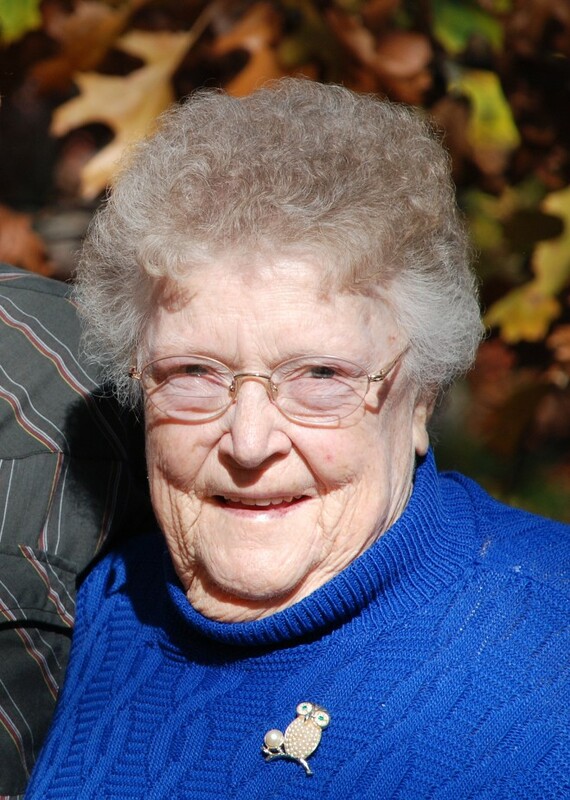 Hazel Marjorie (Campbell) Brewer, age 87, of rural El Dorado Springs passed away at Cedar County Memorial Hospital Sunday, January 31, 2016. Hazel was born February 27, 1928, in Colorado Springs, Colorado, the daughter of John Simon and Opal Hildred (Bishop) Campbell. She graduated from Drennan School near Colorado Springs in 1946. She married Thomas (Tom) Brewer September 3, 1947, in Raton, New Mexico. They moved to Missouri and made their home in El Dorado Springs. Hazel’s employment included telephone operator in Colorado, the shoe factory, nursing home, and work with developmentally disabled children in El Dorado Springs and Nevada. She was a longtime Girl Scout leader and was a Sunday school teacher at Park Street Christian Church, where she was a charter member. Hazel was well known for her art work, which won many awards and recognitions. Her paintings hang in the Missouri State Capitol and other places, including several banks in Missouri and Colorado. She gave local art lessons and enjoyed adventures and attending arts and craft shows with her painting partner, Peggy Thatch Sibley. She was preceded in death by her parents; one brother, Dale Campbell; granddaughter Marquise Brewer; brothers-in-law Lloyd Hoerning and Floyd Brewer; and sisters-in-law Bobbie and Irene Brewer. Hazel is survived by her husband, Tom, of 68 ½ years; four children: Linda Brewer Smith of Velburg, Germany, Ron Brewer and wife, Teresa, of Nevada, MO, Donald Brewer and wife, Diana, of Oologah, OK, and Tammy Brewer of Clinton, MO; two brothers: Oliver (Bud) Campbell and wife, LeAnn, of Lamar, MO, and Oren Campbell and wife, Ruth, of Greeley, CO; one sister, Carol Hoerning of El Dorado Springs, MO; one sister-in-law, Mary Breshears of Weaubleau, MO; two brothers-in-law: Wes Brewer and wife, Julie, of Colorado and Charles Brewer and wife, Ethel, of Colorado; eleven grandchildren; five step-grandchildren; and twenty-one great-grandchildren. Funeral services will be held on Saturday, February 6, 2016, at 10:00 a.m., at Park Street Christian Church with Larry Daniel officiating. Burial will follow at Mt. Pleasant cemetery under the direction of Bland-Hackleman Funeral Home. Pallbearers will be: Troy Smith, Derek Smith, Ryan Smith, Cody Smith, Jerimiah Brewer, Camron Brewer, Colton Brewer and Thomas Brewer. Honorary pallbearer will be Darrell Matthews.